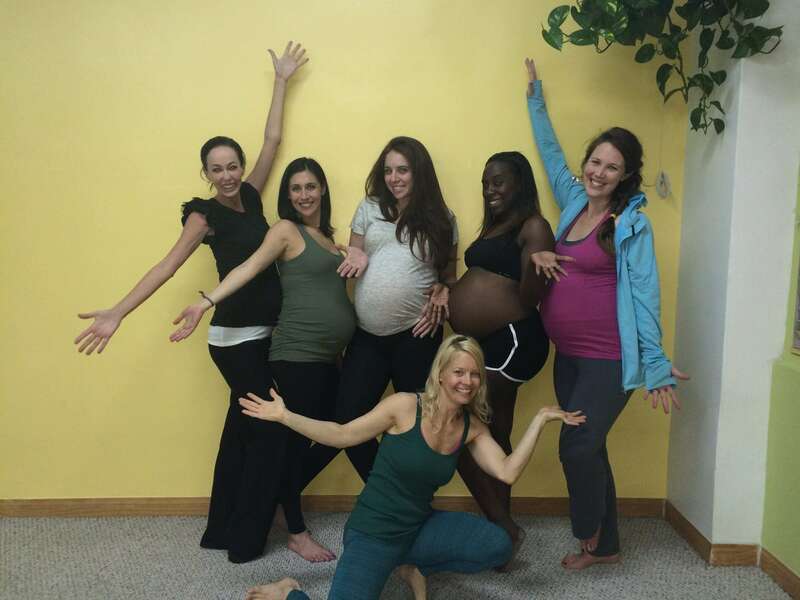 Testimonials of Prenatal Yoga and Mom Yoga + Baby Classes - wow! These testimonials are for Prenatal Yoga and Mom Yoga + Baby classes in all of our different locations in Los Angeles and Orange County: Sherman Oaks, Beverly Hills, Hancock Park, and Costa Mesa. Some of them we just copied from Yelp, others were sent in. If you have had a good experience in a Ma Yoga class, please email us about it – we LOVE to read about it! 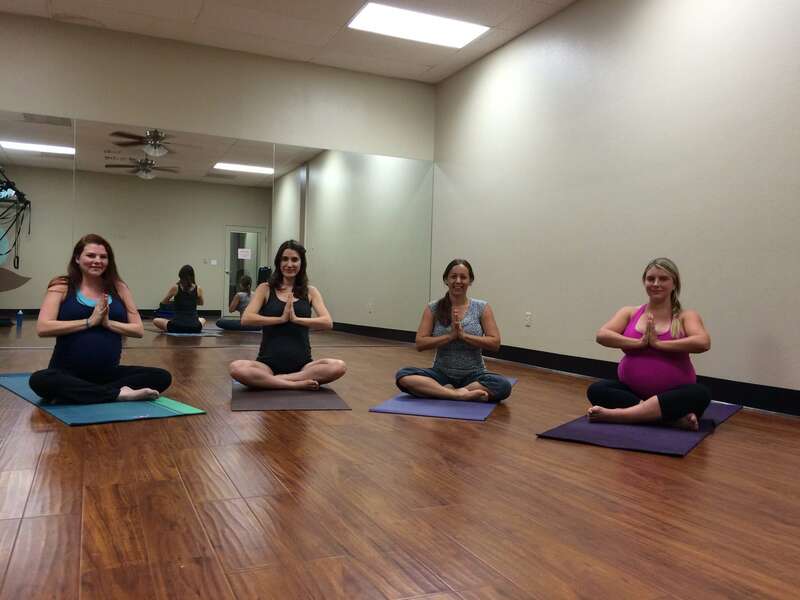 I have been going to the prenatal yoga classes at MaYoga Beverly Hills since I found out I was pregnant (I am now 7 months along). 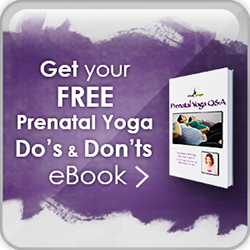 Having lost 2 previous pregnancies, I wanted to be extra cautious in my practice and exercise. I was welcomed and supported in every way. I loved the idea that the first class was free and the price for a package of 10 classes is very reasonable. The instructors, Linda and Rachelle, have been wonderful! I have low blood pressure and challenges with many traditional positions, especially now that the baby is so large; they offer very customized assistance in such a loving way. I never feel bad when I can’t do something or keep up. These caring instructors are full of ideas on how to modify poses to best suit me and the other participants. I always feel at home here. It’s generally a small group so that everyone is able to get individual attention. Additionally, I get such great advice from Linda and Rachelle in each class about various topics from prenatal care to birthing to training your baby to sleep through the night. I also find the sharing and mutual support of other Moms-to-be so beneficial. I love the support of being part of this community and would definitely recommend the classes to any woman looking for prenatal exercise. These yoga classes are great. The space is cozy and homey and Jessica is a very warm and knowledgeable teacher. I often walk in feeling like my back and hips are all out of whack and then walk out feeling *amazing*. I love the community here too–it’s so helpful to hear how other pregnant woman are feeling and it’s a very supportive place. Also–I wasn’t sure if this would be a place that would have a “you must have a natural home birth” vibe, but it totally isn’t. All choices are embraced and that feels really nice–it’s very nonjudgmental. I highly recommend this to moms-to-be…I always feel looser and taller and calmer after these classes, and if you buy a 10-class pack it’s a very good deal. My obstetrician recommended prenatal yoga to help me with stress. I googled around and found Ma Yoga at Bini Birth. I went to the first free class and enjoyed it. It was harder than I thought it would be, but I left feeling better. I kept attending until roughly 38 weeks, but returned a month later for their mommy and me classes. My instructor was Jessica and I really loved her attitude and the class. I’ve kept up with several of the mothers I met in class… Toward the end of my pregnancy, despite being the size of a small house, I was definitely getting better at all the poses and my balance. The new Sherman Oaks location is AMAZING. I managed a few mommy and me classes there before my child got too mobile to bring along. I just wanted to drop you a line and express my gratitude for the confidence you’ve inspired in me as I approach labor. Your class was like a lifeline, with your words of wisdom echoing through me as I approach the big day and beyond! Additionally, the learning and insightful instruction I’ve received has led to a much more comfortable last month than I anticipated. Daily I’m aware of my alignment and my inner/outer spiral! I also spend a little time each day with the restorative poses you taught in class. My best wishes and gratitude! See you on the other side! Thank you again for another great class. You don’t know how much I love coming every week. Not only is it nice to finally “move” my body, but I love being able to connect with Grayson. 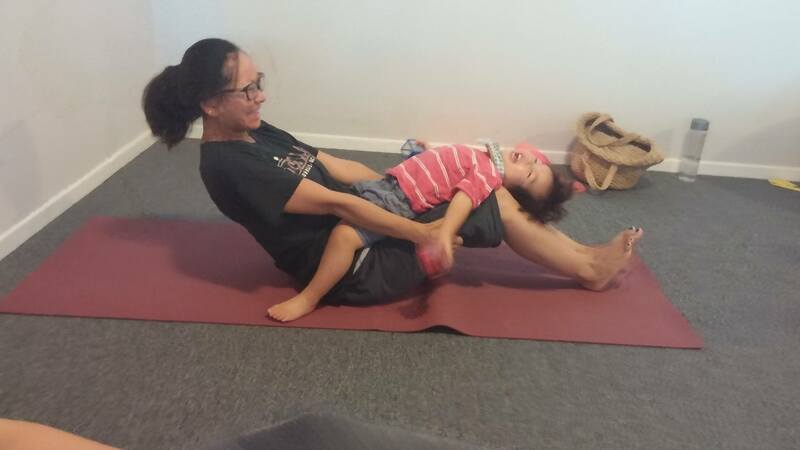 And he loves doing yoga with mommy too. Can’t wait till next week! I started going to Ma Yoga when I was 16 weeks pregnant. It was the best thing I could have done for myself! After being so sick for the first 3 months it was so nice to have something to look forward to each week and to be around other women who could sympathize. Prenatal yoga also helped a lot with the normal aches and pains of pregnancy. I felt myself getting stronger and overall feeling much better each time I went. It was also very soothing for my nerves and helped me deal with the general stress of being pregnant. I’ve missed the past month due to conflicts with child care classes offered by my hospital but am looking forward to finishing out the last 4 weeks of my pregnancy at Ma Yoga! Hopefully I will be able to attend the mommy and me classes for a bit afterward as well while I am on maternity leave. Practicing yoga with my baby next to me is such a rewarding experience – even if I only get to do a few poses, a little goes a long way. My baby loves to lay on the floor and watch me practice yoga. I feel like she tries to lift her legs when I do and loves breathing with me and watching me relax and ground. Jessica is an amazing yoga teacher, especially for pre and post natal women who need a little extra care from an experienced teacher. Her class is challenging, but gentle, and I leave feeling like I’ve had a spa day. I was looking for some mild exercise while pregnant, and had thought about yoga, but was a little hesitant to actually sign up for a class since I had never practiced yoga before. I ran into Shannon at a reception (I was about 23 weeks along) and she told me about her class – it was exactly what I needed and I signed up, and have been very happy about that! 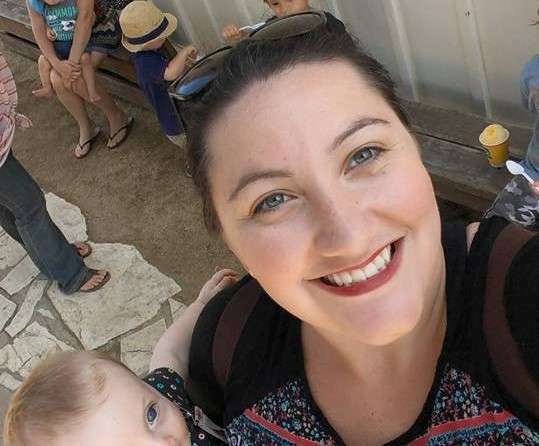 Shannon is a very friendly, fun, careful and supportive teacher, and I always felt at ease in her small-scale class. She taught me a lot about basic yoga techniques, from breathing exercises to several pregnancy-friendly postures to awareness of certain important muscle groups. She made me work out my increasingly pregnant body, without ever pushing it too far. I always felt a lot better after class than before, more relaxed and with less aches and pains. thank you for a wonderful, relaxing, and also challenging class tonite! I loved it. You guys made me feel welcome and very comfortable in my 1st time practicing with MA Yoga! Look forward to more classes in the future…so glad I found you guys to further teach me in yoga! 🙂 See you soon! Shannon is very well trained at prenatal yoga. Yoga has relieved the discomfort and the aches of pregnancy and made the experience more enjoyable. It has made me aware of simple things I can correct on a daily basis to relieve common pregnancy symptoms. I learn something new every week. Highly recommended. When I finally get the birth story all written out I will email it to you for the website! BTW you are brilliant! Class was fantastic today and you have definitely created a wonderful space for us new mommies to be nurtured and nourished! Thank you!! I have been taking yoga at Ma Yoga Beverly Hills studio since October 2011 and I cannot imagine my pregnancy without it. All the instructors-Linda, Sarika and my personal favorite-Rachel are amazing! They not only strengthen our bodies to better out pregnancy and birth, but also create a supportive environment for us pregnant ladies with a touch of personal attention to each. When I heard they would be doing a couples yoga workshop I was ecstatic! It didn’t take much to “convince” my boyfriend to sign up. He was a newbie at yoga and he still did so well. His feeling of confidence and support was evident when I saw him do that hand stand. We learned how to support each other and be one with our breaths. Another reason we took the workshop was to enhance our bond with each other and with our baby boy and this is exactly what happened during the workshop. The couples yoga class was challenging enough, yet very relaxing and comforting and we left feeling stronger in our bodies and mind. I really hope you will do another one soon. We are expecting our baby in early May and we would be thrilled to have another opportunity to experience yoga together one more time, all three of us! I wanted to inform you that our baby girl, Khadi, was born last Thursday. I had a wonderful labor and delivery experience. The hospital and staff was great, but I really cannot thank you enough for your support and guidance throughout my pregnancy. I used all of the techniques you taught us in class during my labor. You truly inspired me throughout the entire experience. I cannot thank you enough! My husband was also amazing during labor, which made it even easier. We are enjoying every moment with our new baby girl. I look forward to yoga class when she gets a little older. See you soon, – T.
I want to tell all the pregnant or new mommies out there that taking yoga with Steffanie on Thursday mornings is the highlight of my week. She is an amazing yoga instructor and always gears class toward what we need, whether it’s lower back, shoulders, or our whole body. She is so loving and enjoys playing with all the little ones that come to class with their moms. I highly recommend taking her class! Thank you so much for last night’s class! I’ve been battling with a very random headache for the last few days and not sleeping well at all. After the session, I had the best night’s sleep in a while and feel energized and refreshed this morning. So glad I found the class early in my pregnancy – I’m looking forward to feeling this good every Wednesday morning! See you next week and have a wonderful day – J. How are you? First off, I have to say how much I miss you and everyone at Ma Yoga. I can’t wait to come back again. I hope you’re doing well! I plan to be back in a few weeks & can’t wait to see you all I can’t tell you enough how much yoga helped me, not only through my pregnancy, but also through labor. I know that it made all the difference for my health, and also for my body & mind through pregnancy and when I was laboring and pushing. Can’t thank you guys enough for providing such a fun and memorable time for me through my pregnancy. I’ll never forget it and what it did for my 1st pregnancy! I loved practicing yoga with you guys so much. It gave me the mommy-to-be support I needed, and helped bring balance into my life. I thought I loved yoga before, but after taking prenatal yoga, I just cherish it and can’t picture never having done it. I could go on and on, but I guess I’ll just end and say that I look forward to more classes and memories, this time with my daughter there Mommyhood is amazing, I can’t wait for you to meet – Lilly-Jade! I had my last prenatal yoga class with you at 38 weeks, and my baby, who is now three weeks old, was born at 41 weeks.Thank you for all the great classes, it was really excellent to feel strong and confident throughout pregnancy, knowing that I could make it through an intense yoga class kept me from being afraid to exercise and really use my body the whole way through. I spent those last few weeks of pregnancy hiking daily, napping, drinking lots of water, and my son was born at home after about 6 hours of active labor. And I actually thought about yoga class during labor! Something you said a few times along the lines of not being afraid about what might happen during labor, just thinking “is that happening right now”. I’ve heard plenty of yoga teachers say “be in the moment” but it’s never made much sense, so thank you for putting that idea into a more usable phrase. – Liza C.
My tuesday night class with Jessica has been the best thing in my life. I am now 29 weeks pregnant, and I know this class has made all the difference in the quality of my pregnancy experience. I feel healthy, strong and empowered; both mentally and physically. I have Ma Yoga to thank!! THANK YOU Tuesday night crew!! – Vicky. I highly recommend this to moms-to-be…I always feel looser and taller and calmer after these classes, and if you buy a 10-class pack it’s a very good deal. 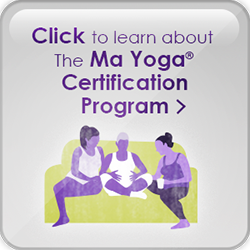 – lyra k.
I’ve been going to Ma Yoga for about three months and I can’t say enough about the prenatal class. Jessica is such a great teacher and I’ve always felt welcomed and comfortable there. I was a yoga newbie and felt right at home from the very beginning. Each class starts off with a little Q&A with all the mamas-to-be and Jessica. She’s a wealth of information and has been so helpful throughout my pregnancy. It’s so great to hear how other women are feeling so we can compare notes and help each other out. That’s my favorite part. The rest of the class is a mix of stretching, strength and meditation. I love how each move is about connecting with the baby. I can’t help but smile when I hear “Lean in and say hi to baby” in the middle of the workout. Most classes also include an assistant, Grace, who has been incredibly helpful and is so kind. The class prices are fantastic too. I definitely feel like I get more than my money’s worth when I go. It feels like such a great investment for me and my baby. It’s been so relaxing and I’m so thankful to have found Ma Yoga. I’d recommend it to any pregnant woman at any point of her pregnancy. I’m really glad I started at 12 weeks though. I plan to continue with the mommy & me yoga post postpartum as well. – Kelley L.
Yesterday afternoon, I needed a large glass of wine. Being that I’m 5 months pregnant, I opted for a google session on prenatal yoga classes instead and what I found was just the bottle I’d been looking for. I am so grateful for the service provided at MaYoga. Last night’s class helped soothe my nerves and bring me back to center. The intimacy of the group and the like-mindedness of the other pregnant moms left me feeling cleansed and cared for. Plus, when you’re pregnant, you wonder if all your non-preg friends can really stand to hear more about your pregnant woes and changes, but here, all were completely supportive and understanding, because they’re all in it with you. Rachelle, the instructor, was not only fantastic, she was kind, compassionate and informative about all things birth related. She spoke so highly of one of her clients who’d just encountered an 80 hour labor, she even shared pictures of the baby with the class. She’s good instructor, counselor and person, and the location made me feel like I was on a set, it was so calming and lovely. Great place for prenatal yoga! The classes are usually very small and intimate, the teachers are knowledgeable and give everyone plenty of individual attention to ensure correct form. Highly recommended for the weeks and months when “regular” workout no longer feels comfortable or safe. Free street parking around the corner on Almont. – Kairi S.
I’ve been going here since my 2nd trimester and love it. It’s an intimate studio in someone’s backyard which is really nice and unique. I really like Rachelle’s class because I find that the exercises she focuses on are really helpful for pregnancy and for labor prep, plus she’s really attentive to different people’s bodies and their varying needs based on belly size and stage of pregnancy. It’s also cool because she’s a doula so her insights to birthing and labor have been really valuable. Sarika is also great. Her class is a bit more partner work so you have to feel comfortable with that. I’ve been so happy with these classes, they’ve really helped me a lot! – A. R.
Colleen’s class was such a treat. My only regret is that I didn’t find it sooner! She is very knowledgeable and recognizes that especially during pregnancy, people’s bodies are different every day. She offered modifications where needed and was very positive, encouraging and patient. It is a challenge to find prenatal yoga classes offered late in the day, but Ma Yoga did just that. The facility was great as well and had all the props and necessities for a great class. I highly recommend checking it out :)- char b.
Here’s the new addition to our family. Harvey Dean. Thank you again for everything you do. Your class made a huge impact in my life. Mentally and physically, I was more ready than ever before. Now with him home, more than ever, I need to practice all your teachings. Keep doing what you do. We mommies and mommy to be’s need more people like you in the world. Take care. And thank you again. Before I got pregnant, I had almost no experience with yoga. I had always preferred running or walking as my form of exercise. I always felt I didn’t have enough patience for yoga or that it wasn’t enough of a workout. But when I was 18 weeks pregnant, I decided to try out Ma Yoga for the first time. The primary draw for me was the social aspect. I was looking forward to meeting other mamas-to-be and potentially making friends. As soon as I entered the studio, I felt at home. Within the first 10 minutes of the class, I was hooked. I knew I made the right decision. Each class starts with brief introductions and conversation about pregnancy and motherhood (this is actually my favorite part!) I loved hearing what the other women were feeling and being able to compare notes with them. It was so nice to have a venue for asking questions and hear advice from Jessica (my fearless instructor) and the other pregnant mamas. I learned that everyone else had aching hips, heartburn and insomnia too. I was in good company. The class itself was more challenging than I initially gave it credit for going in. It was gentle enough that my pregnant body could handle it, but I appreciated the burn my body got after an hour of planks, Warriors and Down Dogs. I left that first class feeling slightly like Jell-o, but stronger than I had ever before. I had endorphins running through me all week and I couldn’t wait to go back. I attended the yoga classes regularly for the next five months. It became the highlight of my week, and the most enjoyable part of my pregnancy. It was dedicated time set aside just for me. It was exactly what my mind, body and baby needed to prepare for childbirth and motherhood. It’s a nice reprieve from the demands of work, house chores, social obligations and my inner dialog. It was a safe environment to clear my head and leave all the other baggage at the door — even it was just for an hour. Yoga became such a great way for me to communicate with my baby. I knew I was sending positive energy to her from inside. She’d reward me with little kicks throughout to let me know she was enjoying it too. I loved doing Down Dogs and hearing Jessica tell us to “look down and say hi to baby!” This made me smile every time. Hi Baby! It was such a fun reminder of the little person growing inside and how important staying healthy was for her. As the weeks ticked by, I could see my body getting stronger. I could hold my poses just a few beats longer… breathe a little deeper… stretch a little further. I enjoyed feeling how strong my body could be, even with the demands of pregnancy. As my belly grew, I thought my body would slow down, but I discovered that it actually felt stronger each week. This boosted my confidence, helped me sleep better and prepared me for giving birth. I loved that yoga helped me set the stage for a whole week of healthy habits. I noticed I started to eat better, drink more water and pay attention to what I was putting into my body. It gave me motivation to walk almost every day, and gave me the tools I needed to stretch and do a few poses every night before bed. It laid the foundation for me to maintain a healthier lifestyle. And that made me feel great. I was in a healthy cycle. i had no idea i could do something like that – and 9 months pregnant to boot! I was impressed at how fun yoga was for me. Especially since I went into it thinking it would be boring and easy. After one class in particular, we had just finished our final Om and I opened my eyes and said “I just feel like clapping wildly!” The surge of energy I got after each class concluded was something I’d never felt before. I can’t explain how excited and proud I was to do a wall handstand for the first time. I had no idea I could do something like that — and 9 months pregnant to boot! My other friends were shocked when I told them that I did it! The real test came when it was time to give birth. The breathing techniques I had learned through yoga helped me to dig deep into myself when I needed strength. I was able to push my body further than it might have went without that training. It helped my mind to relax when I needed to separate from the pain. But most important was the faith I had in my body and confidence that I could deliver a baby. I am so thankful for my experience with yoga and I am so excited to continue my practice now that my baby is here. I loved the community it provided and the space for which I could relax. I love having dedicated ‘me time’ in the calendar. Yoga definitely changed my life. I am more at peace with myself now than I ever have been before. I learned to appreciate my body and all that is capable of. Surrounding myself with that positive energy reminds me weekly of all the wonderful people and things in the world. I really appreciate your classes. The feeling that these amazing ladies, especially dear Melanie, give to pregnant women with pure love, care, peace and knowledge is priceless.